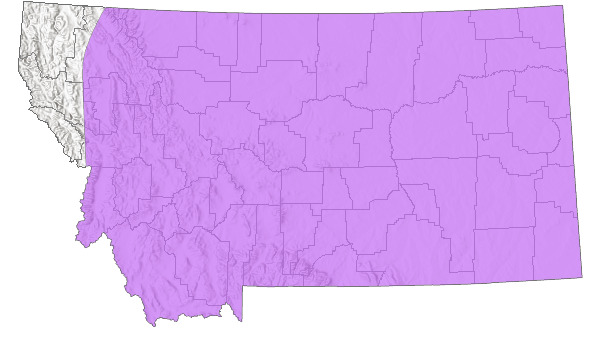 Sage-grassland types. Open areas, retreats to woodlots and riparian only during severe winters (Jones et al. 1983). Food habits probably vary somewhat between areas. Apparently plants in reproductive or early reproductive stages of development are preferred. Will reingest feces (coprophagy). True hare (precocial young). Occasionally carries tuleremia. Late snow cover may delay onset of breeding. Induced ovulator. Litter size declines in successive litters each year so that overall average is 3 to 4 young/litter (Jones et al. 1983). Braun, C.E. And R.G. Streeter. 1968. 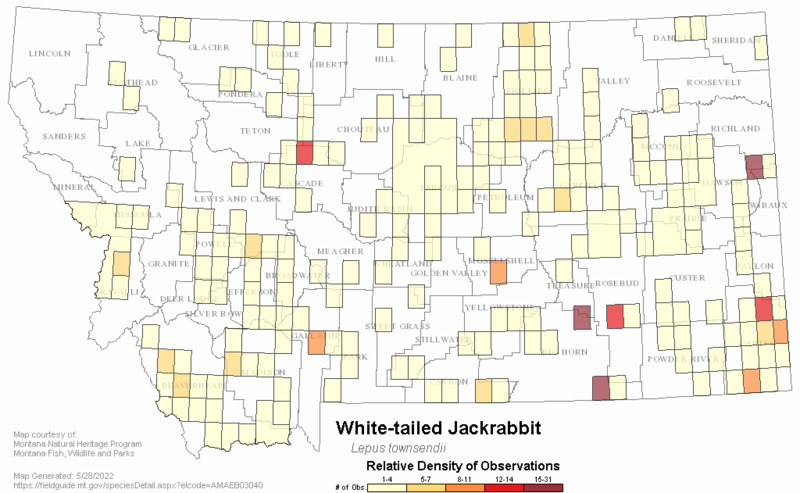 Observations On the Occurrence of White-Tailed Jackrabbits in the Alpine Zone. J. Mammal. 49: 160-161. Lim, B.K. 1987. 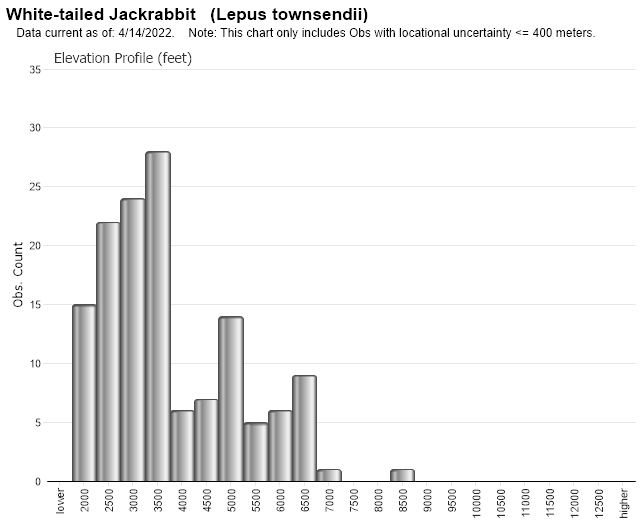 Lepus townsendii. Mammalian Species 288:1-6. McGahan, J. 1966. Ecology of the golden eagle. M.S. thesis. University of Montana, Missoula. 78 pp. 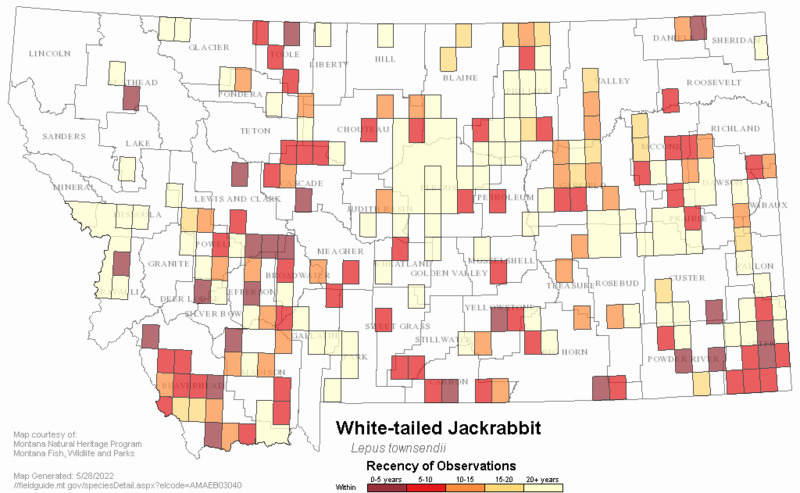 Web Search Engines for Articles on "White-tailed Jack Rabbit"